dopl3r.com - Memes - Texas Humor @TexasHumor Did anyone else have to learn how to square dance in elementary school? Is this a Texan thing or just a young me thing? 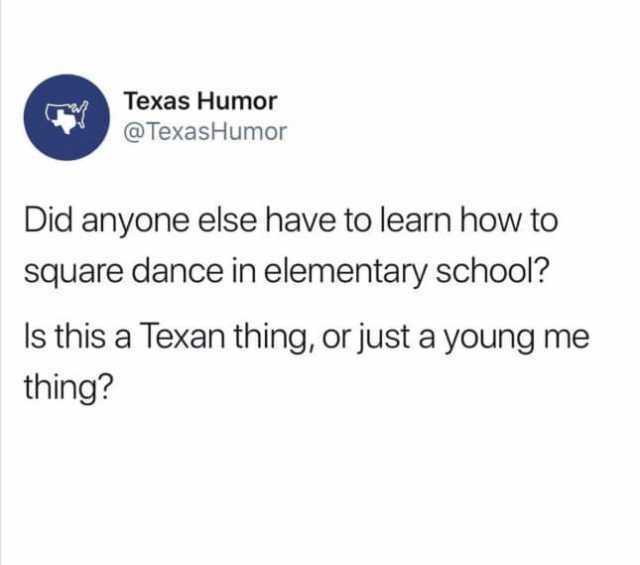 Texas Humor @TexasHumor Did anyone else have to learn how to square dance in elementary school? Is this a Texan thing or just a young me thing?